There’s nothing better than snuggling up and digging into a warm, savory dish like this on a chilly Autumn day! ‘Tis the season for soup, chili and chowder. Hope you enjoy! **I might grab two. The pepper really adds the spice to this dish, and with poblano’s it’s hard to tell the level of heat until you cook them! 2. Place poblano on a foil-lined baking sheet. Broil 8 minutes on each side or until blackened. Place pepper in a small zip-top plastic bag; seal. Let stand 10 minutes. Peel off the pepper’s burnt outer skin and chop. 3. Melt the butter in a Dutch oven over medium-high heat. Add onion, salt, sugar and red pepper to pan; sauté 4 minutes, stirring occasionally. 4. Add corn; sauté 2 minutes. 5. Remove 3/4 cup corn mixture from pan. Combine 3/4 cup corn mixture and 3/4 cup half-and-half in a blender; process until smooth. 6. Add potato to pan; sauté 1 minute. Stir in 2 cups water; bring to a boil. Cook 4 minutes or until potato is almost tender. Reduce heat to medium. 7. Combine remaining 1/4 cup half-and-half and flour in a small bowl, stirring until smooth. Add flour mixture to pot. Cook 1 minute, stirring constantly. 8. 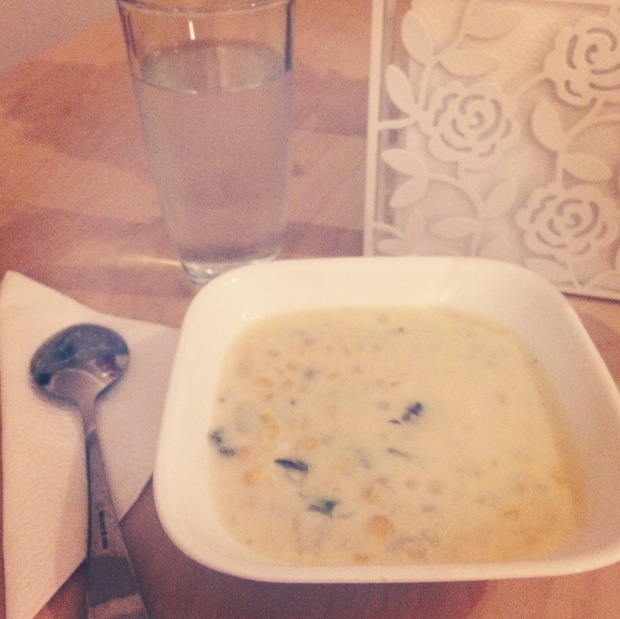 Return corn puree to pan, stir. 9. 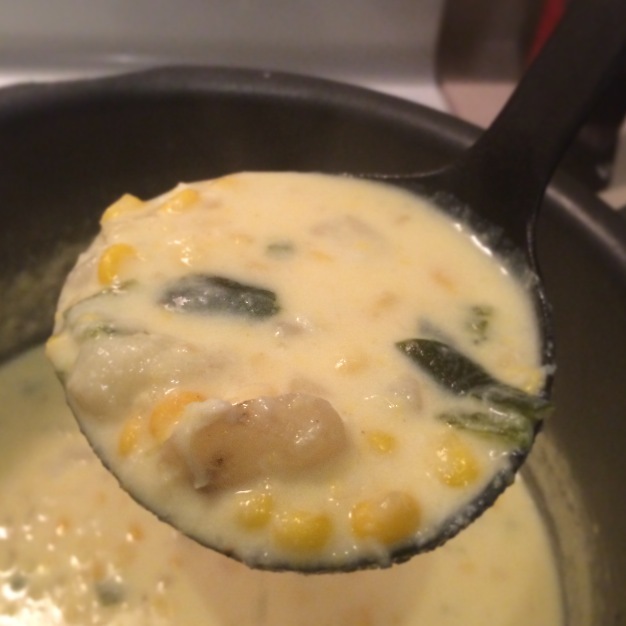 Stir in poblano, milk, and crab; bring to a simmer. Cook 3 minutes, stirring frequently.